TWO TIME MVP, EIGHT TIME NBA ALL-STAR, BUSINESS ENTREPRENEUR, OWNER OF THE VANCOUVER WHITECAPS. CREATED AND STARRED IN CAMPAIGNS FOR VITAMIN WATER, EA SPORTS, TOYOTA AND NIKE. A PROUD CANADIAN, STEVE HAS BEEN NAMED TO THE ORDER OF BRITISH COLUMBIA AND THE ORDER OF CANADA. EZRA BEGAN DIRECTING AND PRODUCING MUSIC VIDEOS AND COMMERCIALS FOR MAJOR RECORD LABELS AND BRANDS. 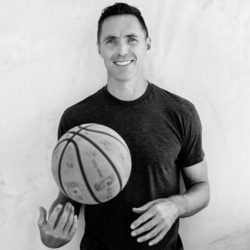 TEAMING UP WITH COUSIN STEVE NASH IN 2008 TO FORM MEATHAWK, THEY CREATED CONTENT FOR; NIKE, VITAMIN WATER, EA GAMES AND TOYOTA FOLLOWED BY ‘INTO THE WIND’, A 30 FOR 30 FILM FOR ESPN. 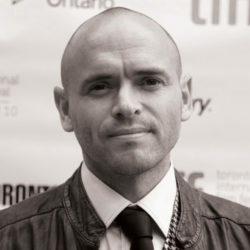 EXEC PRODUCER ON ‘SHAQ VERSUS’ FOR ABC AND EPISODIC SHOWS FOR VICE AND GRANTLAND LED TO A CURRENT SLATE OF SCRIPTED AND UNSCRIPTED PROPERTIES IN DEVELOPMENT WITH MAJOR NETWORKS IN CANADA AND THE US. DIRECTED AND PRODUCED THE LYRICIST LOUNGE SHOW (MTV) DAVID BLAINE’S FROZEN IN TIME & VERTIGO (ABC) AND THE CRITICALLY ACCLAIMED FEATURE DOCUMENTARY B.I.K.E., SBEFORE GETTING INTO ADVERTISING. 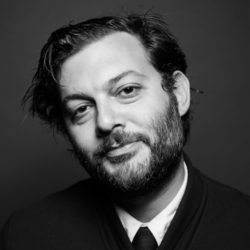 HE SERVED AS CREATIVE DIRECTOR AT BERLIN CAMERON, MOMENTUM AND CODE AND THEORY WHERE HE DIRECTED CAMPAIGNS AND CONTENT FOR BOOST MOBILE, HENNESSY, BELVEDERE, HEINEKEN, FIAT, AMERICAN EXPRESS, YOUTUBE, COMCAST AND NEWSWEEK.